Can easily be used for recreational and professional skating and indoor applications. 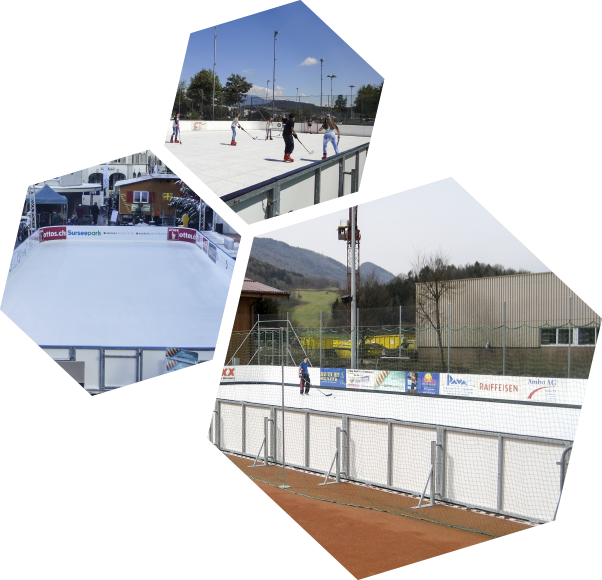 It is also highly suitable for mobile rinks, since it can easily be assembled and disassembled. 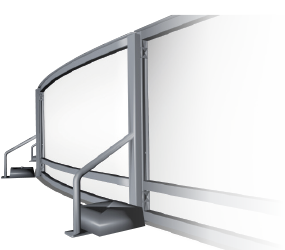 Standard design of our dasher boards are either rounded corners with a radius of 7.65 m or right-angled corners. On demand we can produce also other designs and shapes.